One Fun Photobooth is proud to be setting the bar for photobooths in the Northwest and brings their brides another exclusive. They now not only offer a leather styled premium photo memory book, they now offer a wood and aluminum covered photo memory album. Keying in on the latest trends at Sun Valley Weddings, the designers at One Fun Photobooth, Idaho’s wedding photo booth company, arrived at a rustic styled wood covered album that can be customized with to each brides design. 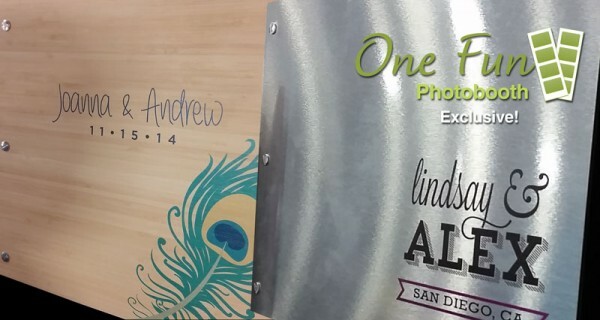 For those brides that are a little less into nature the OFP designers have a brushed aluminum photo memory album that also can be customized to each brides design with wedding date, etc.